It is a rare thing to say, but Bayern Munich are out for revenge against Hoffenheim. They lost to the village team twice last year. But they will need to shore up their defence should they intend to avenge that brace of losses. There were some defensive lapses in last weekend's 4-2 win against Werder Bremen. But regulars Mats Hummels and David Alaba, who have suffered with niggling injurties, will be back in contention, which is always a good thing. Rested last time out, Arturo Vidal is also expected to return, with Franck Ribery most likely to drop out for the Chilean. 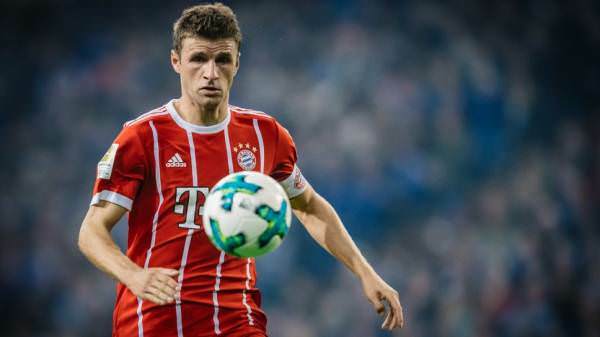 Niklas Sule, who faces his former team, is expected to keep his place, while Thomas Müller will continue as skipper in Manuel Neuer's injury-enforced absence. 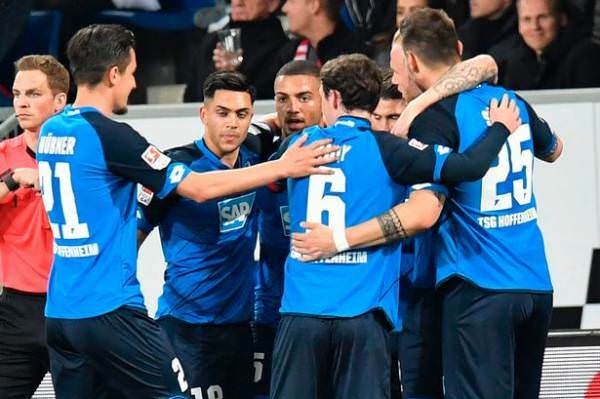 Hoffenheim coach Julian Nagelsmann is likely to make wholesale changes following a 4-1 home hammering by Bayer Leverkusen, a result which leaves them four points outside the top-four zone. Sticking the ball into the net is a tough task with Hoffenheim scoring just four goals in their last five games. Stefan Posch could replace Ermin Bicakcic in defence, while Nadiem Amiri will add attacking thrust in midfield in place of Florian Grillitsch. Bayern, a massive 16 points clear at the top, are unbeaten in their last 31 Bundesliga home games. It is the club's longest run since moving to the Allianz Arena in 2005. Big Stat 1: The Bundesliga's youngest coach, Hoffenheim's Nagelsmann (30), meets the oldest, Bayern's Heynckes (72). Big Stat 2: Bayern midfielder/defender Javi Martinez has won 85 of his first 100 Bundesliga games. Big Stat 3: Thomas Muller scored his 100th Bayern goal last weekend in the 4-2 win over Werder Bremen. Bayern Munich recovered from going two goals down after 12 minutes to see off Hoffenheim and increase their lead in the Bundesliga to 16 points. The leaders fell behind to strikes from Mark Uth and former Arsenal winger Serge Gnabry, who is on loan at Hoffenheim from Bayern. But goals from Robert Lewandowksi and Jerome Boateng pulled the hosts level with 25 minutes played. Kingsley Coman and Arturo Vidal efforts put Bayern in front after the break. 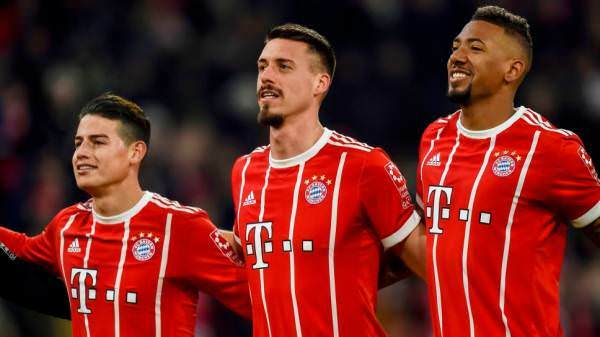 Sandro Wagner added a late fifth for the league leaders.